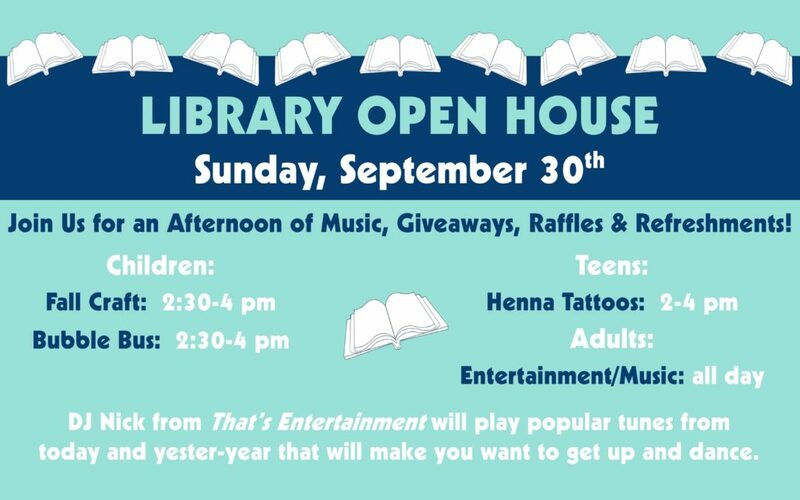 Join us for a fun afternoon of music, activities, raffles, giveaways and refreshments! Children will enjoy Fall Craft, Bubble Bus and Italian ices. Teens can get Henna Tattoos. Adults will enjoy DJ Nick from That’s Entertainment who will play popular tunes from today and yester-year that will make you want to get up and dance. Come and enjoy!